Literary Firsts is only a week away! 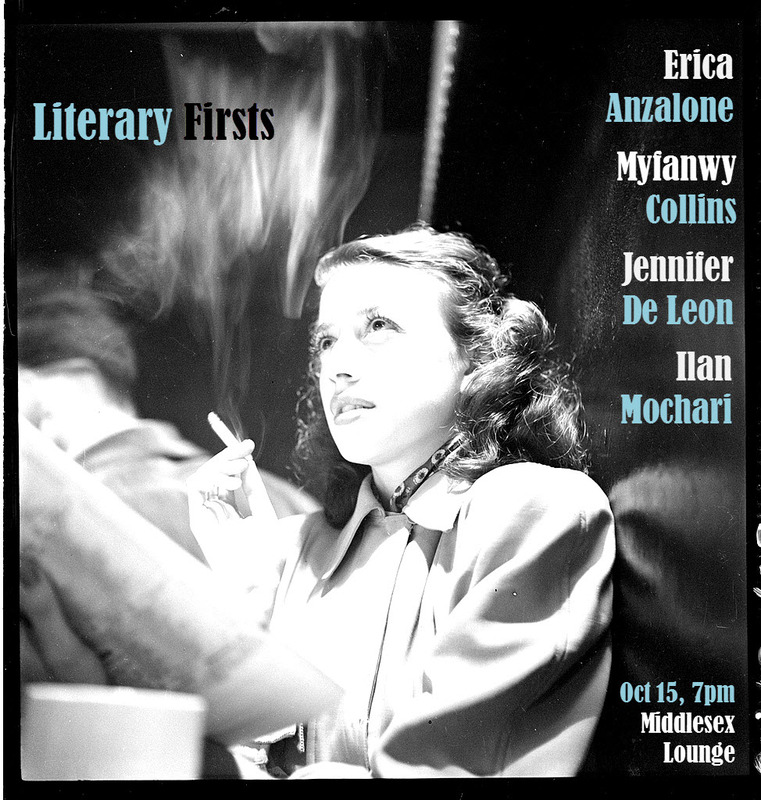 Join us on October 15 when Erica Anzalone will read poetry, Myfanwy Collins will read fiction, Jennifer DeLeon will share an essay, and Ilan Mochari will thrill us with a confessional tale. It’s our last reading of the year, so help us wrap up 2012 in style!